I mean, it doesn’t even bring you chilled drinks like the last crazily-priced Astromech. 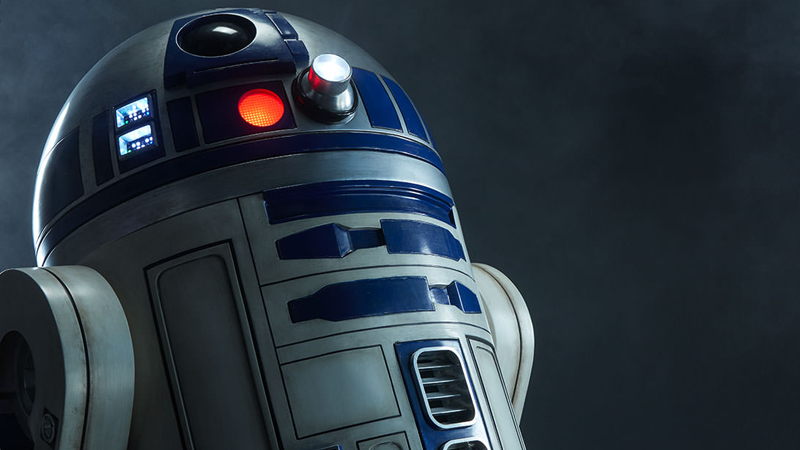 Sideshow Collectibles has released more details about the gorgeous-looking lifesized Artoo it revealed in the run up to the Rogue One merchandise frenzy last week, and its doozy of a price tag. Clocking in at four feet tall, R2 doesn’t actually do all that much—he’s got a base designed to look like the floor of the Millenium Falcon, and from a remote control stored in one of his myriad tool panels you can control movie-authentic lights and sounds from the droid. Aside from a moveable dome, that’s pretty much it—no R/C controls, nothing fancy coming out of his holoprojector, nothing. So you’re essentially paying $7450 for the world’s nerdiest plus-sized paperweight. It is a very pretty paperweight though. If you’ve got the cash to spare (can I have some? ), R2-D2 is available for pre-order now ahead of a release next summer.